Paleo Food List: Is Butter Considered Paleo? Butter has been around for years, we are talking well into the BCE era. Does that surprise you? Butter can have the “make or break” effect on certain foods. You know most steamed veggies, popcorn, potatoes (a lot of foods we don’t eat on Paleo). But do you even know what butter is? Most of us have had butter at some point in our lives. If not though, butter is the separation of fat from buttermilk. 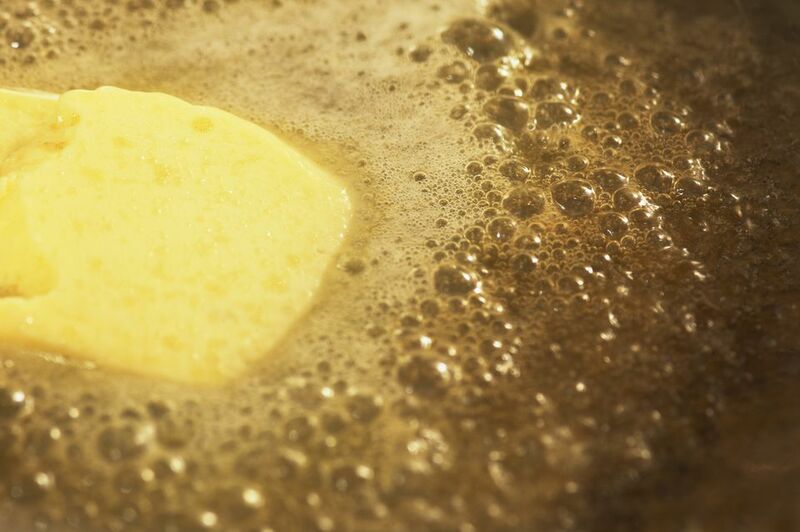 You can make butter by churning fresh milk or certain types of cream. Before butter came from using milk and cream from cows, goat’s milk or sheep’s milk was used. It was easily stored for long periods of time and used as a condiment much like it is today. An interesting fact about store-bought butter is that some commercial vendors add coloring to their butter in the forms of carotene and annatto coloring to get a slightly yellow appearance. Is butter Paleo? Sort of. How Is Butter Paleo and Not Paleo? Butter contains milk solids, which indeed are not Paleo. So how can it be Paleo? Most Paleoans (the ones that don’t have a sensitivity to butter) clarify organic/grass-fed butter to separate the milk solids and remove them. It sounds complicated but it actually quite simple. You simply take out the “milk stuff” and you’re left with what is not the dairy part. Hint: The milk stuff is what causes inflammation and other problems you don’t want. This amazing article by the folks over at Whole9 give detailed background about butter as well as provide a tutorial on how to clarify butter towards the end of the article. Ghee is clarified butter. It is commonly found throughout Indian cooking. Often times in India Ghee is served with Baati, a type of bread/dumpling. But bread is not Paleo, so on to the next point. On a Paleo type regimen, ghee is best used as a replacement for butter. Therefore, you can add ghee to a pan before you cook your eggs, add some over your steamed vegetables, or conservatively added to your baked sweet potato. Does It Have to Be Grass-Fed or Organic? This just means that the animals the butter came from are healthy, unaltered products. This is good for them and us. Can You Buy Premade Ghee? You bet your bottom dollar you can. There are a few who make ghee just for people like you and me. One of the most popular brands of Ghee here in our slice of the world is OMghee. Produced in small batches, using only organic, grass-fed and pasteurized ingredients.